Berkery Noyes Represents M.E. Sharpe Inc. in its Sale to The Taylor & Francis Group - Berkery, Noyes & Co., LLC. 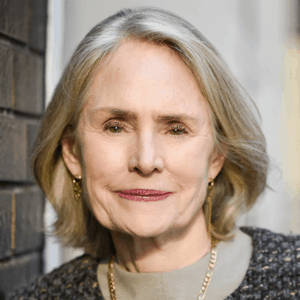 New York, August 5, 2014 – Berkery Noyes, a leading independent investment bank providing mergers & acquisitions advisory services to the information and education markets, announced today that it introduced M.E. 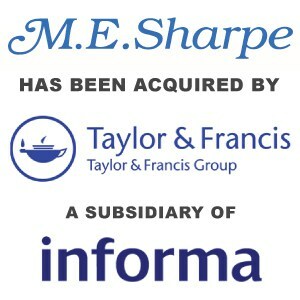 Sharpes’ principal shareholders to the Taylor & Francis Group and represented the Sharpes’ in the sale of their higher education academic books and journals company to Taylor & Francis, which is owned by Informa plc. In this acquisition, the critical success element was the acquirer’s ability to convince the principals, who had founded the company in 1958, that they had a similar high regard for M.E. Sharpe’s publishing program. High quality content continues to command a premium in the market and independent companies like M.E. Sharpe are scarce in the higher education sector. M.E. Sharpe publishes textbooks and general interest books for the higher education market, with particular strength in economics, marketing and politics and current affairs. M.E. Sharpe also publishes both original works and translations in Asian and East European studies. Its East Gate Books imprint is widely recognized as representing the best content in Asian Studies. The Company’s highly regarded periodicals include 36 journals in sociology, political economy, management studies, and mental health, along with numerous monthly, bi-monthly, and quarterly translation journals in Asian and East European series. Among the list are the cutting-edge International Journal of Electronic Commerce and Journal of Management Information Systems as well as the widely respected Journal of Post-Keynesian Economics, Challenge. About Taylor & Francis Group – Taylor & Francis Group, a subsidiary of Informa plc, is one of the world’s leading publishers of scholarly journals, books, eBooks, text books and reference works. Its content includes all areas of humanities, social sciences, behavioral sciences, science, technology and medicine. This U.K. Company has extensive operations throughout the world. About Berkery Noyes – Berkery Noyes provides strategic mergers and acquisitions advisory services to middle-market companies in the United States and internationally. Berkery Noyes has been involved in many notable transactions in the information and education sectors, including Thomson Reuter’s acquisition of Discovery Logic, Inc.; Iron Data’s acquisition of Versa Systems, Inc.; Internet Brands acquisition of Nolo, Inc.; Random House’s acquisition of Ten Speed Press; Gale’s acquisition of HighBeam; Wicks’ acquisition of The Gordian Group; Berlitz’ acquisition of Second Language Testing Inc.; Oxford University Press’ acquisition of Roxbury; Cambium Learning Group’s acquisition of Class.com; Weld North’s acquisition of JBHM Education Group LLC; and The Riverside Company’s acquisition of BankersEdge.